April 23rd? More like February 23rd. The thermometer on the car hovered just above zero as I stepped onto the Flats at 6.30am - wishing I'd remembered my gloves, I wiped my running nose onto my sleeve! Clear blue skies and a cold northerly wind greeted me as I followed my usual Saturday morning route around the patch. A Wheatear was soon flushed from the brooms and headed high and north - it had clearly got better places to go than hang about on a busy piece of green East London and be disturbed all day. 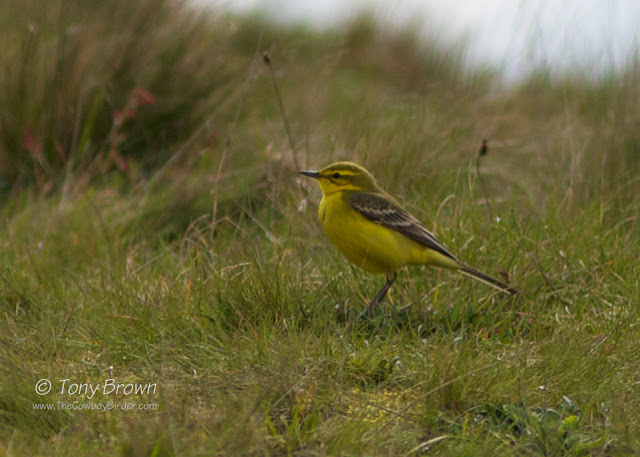 A Yellow Wagtail flew over calling, just about lower enough to make out a bit of colour - a typical spring record, rarely do they ever stop and land. 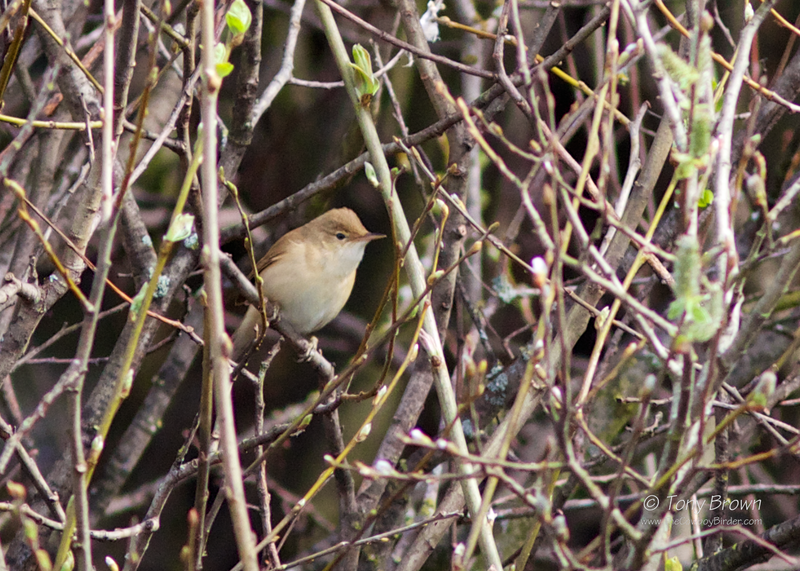 I finally added House Martin to the patch year list and a Reed Warbler was nice bonus feeding along the edge of Alexandra Lake, and has saved me a summer trip to the Park and the Shoulder of Mutton Lake to year tick the pair which now annually nest in the reeds. By mid-morning the sun had finally began to raise the temperature as I heard the call of another Yellow Wagtail going over - this bird seemed a bit closer, I then picked it up flying low over the grassland south of Alexandra Lake, following the birds movement it only goes and lands! A Yellow Wagtail actually landing on the Flats is not to be sniffed at, I can only remember one other occasion when I've seen a bird on the deck, all my previous records are just flyover passage birds. It's been a slow spring and hard work on the patch of late, so seeing this bird certainly helps to keep those patch embers burning. 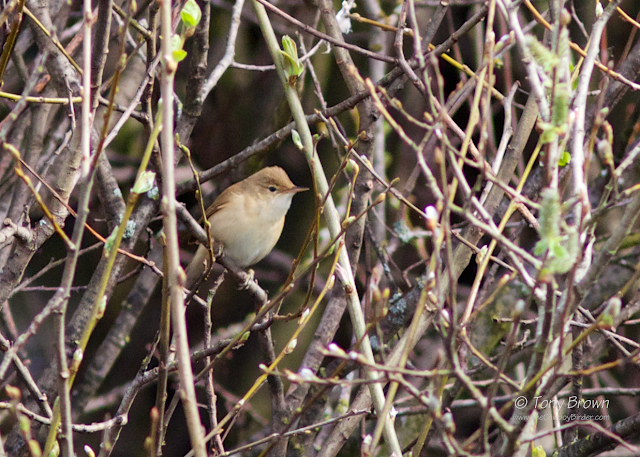 Slightly overshadowed by Mr Flava Wagtail, the Reed Warbler on Alexandra Lake showed well in the bushes which overhang the water, and helped to move along the Patch List to number 82.